OLDWICK, N.J., June 08, 2017—A.M. Best has assigned the Financial Strength Rating (FSR) of A (Excellent) and the Long-Term Issuer Credit Rating of “a” to Leaders Life Insurance Company (Leaders Life) (Tulsa, OK), a life insurance affiliate of Farm Bureau Life Insurance Company of Michigan (FBL Michigan) (Michigan). The ultimate parent of both companies is the Michigan Farm Bureau. The outlook assigned to these Credit Ratings (ratings) is stable. The Company recognizes the value of quality business and agrees to pay you a Bonus, if earned, on individual life insurance policies under the Company’s current published guidelines, subject to the following conditions: (a) Any Bonus will be based on the calendar year. (b) Any bonus will be paid in January of each calendar year with the December commissions (c) Your contract must be in force at the time any bonus is payable (d) The Production Bonus will be paid on personal production only. It will be paid and earned only on paid for first year premiums. New Look Apps and Brochures Effective January 1, 2014! Do to our continuing expansion efforts we have re-filed all of our applications and forms to be current with the laws of the states we are approved to offer our products. More importantly, this effort will provide you a generic application that can be used in as many states as possible. 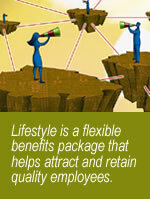 We are excited to announce the additions of two new states to offer our family of Lifestyle Worksite Benefit products! We are now in business in Alabama and South Dakota, bringing our total geographic market to eight states (AL, AR, KS, LA, MO, OK, SD and TX).